Go meatless with a few simple swaps…It’s healthier for our bodies and the environment. Mushrooms, cauliflower, and beans can replace meat to lower saturated fats and add beneficial nutrients. You don’t need to go vegetarian or vegan to reap health benefits. Planning a couple meatless meals each week is a good start to lower cholesterol, blood pressure and heart disease risks. 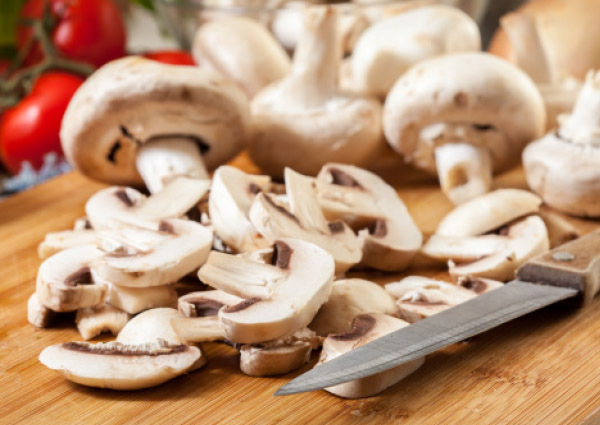 1.Finely chop half of the sliced mushrooms. In a large mixing bowl, add the ground beef, chopped mushrooms, panko, egg and taco seasoning. Mix well. Form into medium-sized meatballs and set aside. 2.Place a large pot over medium heat and add the olive oil and onion. Stir and cook for 3 mins. 3.Add the garlic, jalapeño and sliced mushrooms. Cook over medium-low heat for 7 mins. 4.Stir in the tomatoes, beef stock, corn and kidney beans. Bring to a boil. 5.Reduce heat to low. Gently place the meatballs into the hot broth. Cover and cook for 15 mins. 6.Turn off the heat, tear the 1/2 bunch of cilantro into the soup and stir. 7.Serve in a bowl with optional toppings like diced avocado, cheese, cilantro and a squeeze of lime.